Infiniti Centre Newcastle joined forces earlier this month with Smooth FM’s breakfast DJ, Steve Colman to launch an “on-air” competition giving listeners the chance to win a luxury weekend away for Mother’s Day. The competition ran from Sunday 28th February until Thursday 3rd March, with the winner announced by Steve on Friday morning’s breakfast show. Lucky winner Dawn Lynn won some fantastic prizes including a relaxing weekend break at Rockcliffe Hall. Dawn and her husband travelled to the prestigious venue in style thanks to Jeff Aynsley and the team at Infiniti Centre Newcastle, who provided the couple with a Q70 for the weekend. Fresh from her weekend away, Dawn said: “We collected an Infiniti Q70 for the weekend from Jeff and his team at Infiniti Centre Newcastle after winning the Mother’s Day competition with Smooth Radio. “The Q70 was smart, exclusive, comfortable and very quick yet incredibly economical! Jeff Aynsley, general manager at Infiniti Newcastle, said: “I’m delighted that Dawn and her husband Mark enjoyed their luxury weekend away for Mother’s Day. Infiniti Centre is the North East’s only retailer of the premium brand, covering Tyne and Wear, County Durham and Teesside. The Infiniti name is synonymous with luxury, performance, and entertainment. Whether it’s a sleek coupe, muscular crossover, or sporty saloon, at Infiniti Centre Newcastle customers get a vehicle that offers something a little different to the rest. Contact Jeff and the team to find out more about the full Infiniti range on 03452 66 99 00. Alternatively, visit us at Infiniti Centre Newcastle on Middle Engine Lane, Silverlink Business Park, Newcastle upon Tyne NE28 9NZ. 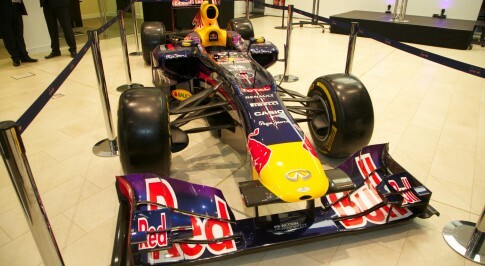 The Infiniti Centre is open 09:00 until 18:00 Monday to Friday and 09:00 to 17:00 on Saturday.